Carnival Corporation & plc, the world's largest leisure travel company, has announced MedallionNet™, a game-changing connectivity service enabled by SES Networks. 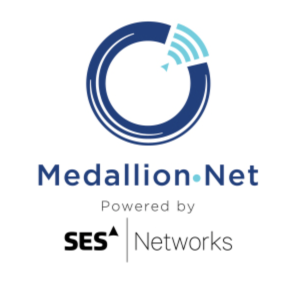 MedallionNet will provide guests with easy-to-access WiFi that features exceptional speeds and bandwidth, pervasive stateroom signal strength and unprecedented service consistency.The connectivity service — to be delivered in connection with SES Networks, a business unit of SES — will collectively leverage the leading global satellite operator’s GEO and MEO constellations, managed services, antenna and shipboard technology to significantly enhance the guest experience by providing high performance and reliable broadband connectivity at sea. This innovative service is also enabled by hardware and software shipboard technology advances associated with Carnival Corporation’s proprietary O·C·E·A·N Experience Platform. MedallionNet is another development to emerge from Carnival Corporation’s Global Experience and Innovation Center located in Miami and is the first end-to-end WiFi service development formulated with a focus on exceeding guest expectations through “GuestCentricity™” — an initiative to enhance all aspects of the vacation experience by delivering guests what they want, when, where and how they want it. John Padgett, chief experience and innovation officer for Carnival Corporation, reported that “staying connected is inextricably linked to the company's daily life experiences and that now extends to the vacation experience, even when sailing in the middle of the sea. MedallionNet will set the new standard for WiFi service at sea and Carnival looks forward to rolling this new service out to guests. 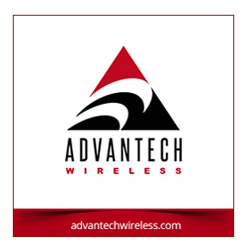 The firm knows WiFi connectivity is important for those who want to stay connected — this service will make such easy for them, and that includes being able to easily send photos, videos and messages letting everyone know they are having a fabulous vacation. Steve Collar, the CEO of SES Networks, noted that SES Networks is privileged to be associated with Carnival Corporation’s Global Experience and Innovation team and to be powering MedallionNet. SES shares Carnival Corporation’s passionate focus on connecting people, places and cultures around the world with amazing experiences. As the only company to offer a GEO and MEO constellation, unmatched in scale, performance and technological diversity, SES Networks is uniquely positioned to enable the highest performing WiFi connectivity at sea, as well as immersive media and gaming content.